Evaluating children to determine eligibility for special education services is an issue with which many parents and educators struggle. There are many factors to consider during a comprehensive evaluation of a child for possible eligibility for special education services. 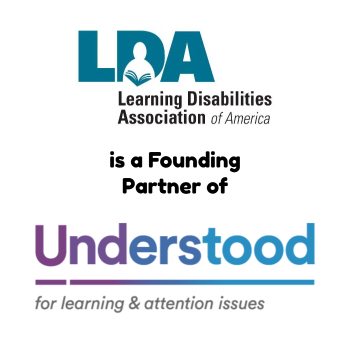 It’s important that parent(s) know their rights under the Individuals with Disabilities Education Act (IDEA), understand the process, and ensure their child receives the appropriate services. School districts need to provide parents their procedural safeguards (rights) guaranteed under IDEA before a full and individual initial evaluation takes place. When a child receives special education services for an extended period of time, the question of reevaluation may arise. This article addresses these issues and answers questions about consent and how the results of the evaluation and reevaluation are used. When does a child receive a full and individual initial evaluation? A child may receive a full and individual evaluation when the referral process indicates the child may need special education services. IDEA requires that each public agency shall ensure that a full and individual initial evaluation be conducted to determine if the child is a “child with a disability,” as defined under IDEA, and the educational needs of the child. School districts can collect information in a multi-tiered process (RTI). State departments of education sometimes require school districts to use RTI to identify and provide assistance to students who are having academic difficulty. This is often done as part of the process to determine if the student needs to be referred for a full and individual evaluation. Parents have rights under IDEA (IDEA Regulations, Sec. 300.301) to request an evaluation from the school district to determine if the child has a disability and is eligible for special education services. Parents need to make this request in writing for documentation purposes. Parents can request the RTI process to stop at any time for a full evaluation to be conducted. Why does a child receive a full and individualized initial evaluation? When the referral process indicated that a child may need special education services, the school district, with parental support, shall conduct a full and individual initial evaluation to determine if the student is a child with a disability and to determine the educational needs of the student. A student can receive a full and individualized initial evaluation when a parent requests the school district to conduct a full and individualized evaluation to determine if the student has a disability and is eligible for special education services. What are the responsibilities of the school district to parents before a full and individual initial evaluation? A description of the action proposed or refused by the agency. An explanation of why the agency proposes or refuses to take the action. A description of other options considered by the agency and why a particular option was rejected. A description of each evaluation procedure, test, record, or report used as a basis for the proposed or refused action. A description of any other factors relevant to the agency’s proposal or refusal. A statement that the parents of a child with a disability have protection under the procedural safeguards of the law and the means by which parents can obtain a full explanation of those protections and State complaint procedures. Sources parents can contact to obtain assistance in understanding the provisions of IDEA. Is parental consent required prior to the individualized initial evaluation? Parents must give informed consent prior to the individualized initial evaluation. What are the requirements in conducting the evaluation? Make sure that all tests and assessment materials used to evaluate the child are chosen and given in a manner that is not discriminatory on a racial or cultural basis. The school district shall make sure the assessment materials are provided and administered in the child’s native language (or other mode of communication), unless it is clearly not feasible to do so. Use a variety of assessment tools and strategies to gather relevant functional and developmental information about the child, including information provided by the parent, that may assist in determining whether the child is a child with a disability and the content of the child’s individualized education program, including information related to enabling the child to be involved in and progress in the general curriculum or, for preschool children, to participate in appropriate activities. Ensure that any standardized tests that are given to a child have been validated for the specific purpose for which they are used and are administered by trained and knowledgeable personnel in accordance with any instructions provided by the producer of the tests. Not use any single procedure as the sole criterion for determining whether a child is a child with a disability or determining an appropriate education program for the child. Ensure that the child is assessed in all areas related to the suspected disability. Assure that assessment tools and strategies are used that provide relevant information that directly assists persons in determining the educational needs of the child. How will evaluation results be used? 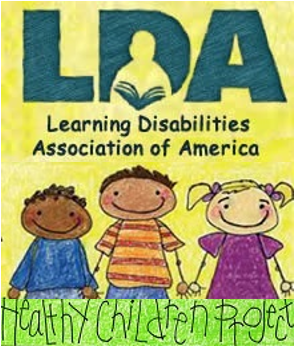 When the school district personnel have completed all test and evaluation material administration, the determination of whether the child is a “child with a disability” and is in need of special education services will be made by a team of qualified professionals (multidisciplinary team) and the parents of the child. A copy of the evaluation results and all accompanying documentation of determination of eligibility will be given to the parent(s). What will happen if there is a disagreement about the evaluation results? 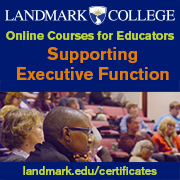 Have someone outside the school system evaluate their child, known as an Independent Educational Evaluation (IEE). Help select the person/persons who will do the evaluation. Have the testing done at no cost to the parents/family. The school district must either have the child evaluated at no cost to the parents or show, at a hearing, that the school’s evaluation is appropriate. If a hearing is convened and a final decision finds the school’s evaluation to be appropriate, parents still have the right to an IEE, but not at public expense. If parents obtain an IEE at private expense, the IEE results must be considered by the public agency in planning the IEP, if the evaluation meets agency criteria. The IEE may be presented as evidence in a due process hearing. What does IDEA say about reevaluations? A triennial evaluation must be done every three years after a child has been placed in special education. Reevaluation can occur more frequently if conditions warrant, or if the parent or teacher requests a reevaluation. For example, parents might request a reevaluation when they do not feel their child is progressing within the current program, instruction, services, or goals. IDEA makes provisions to have a “no questions” reevaluation. This is when the full team, including the parents, believes that the present program is working and simply needs to continue in the same manner. If there are no questions, then no assessments are needed and the triennial reevaluation simply confirms progress. Parents need to be sure that their questions are not overlooked in “no questions” reevaluations. This is especially true of the last reevaluation the child receives before leaving high school. The child may need current test data to receive services in post secondary education. Parents must be informed and provide parental consent to the school district prior to the school district conducting a reevaluation of a child with a disability. Existing evaluations and information provided by parents are reviewed during the reevaluation. On the basis of the review, the team, including the parents and other qualified professionals as appropriate, identify additional needed data to determine whether the child continues to be a child with a disability and in need of special education and related services. what if the FIE for my daughter expired? We were out of the country for a little over 3 years. My daughter was diagnosed with Autism then. We want to re-enroll at public schools. What if the school refuses to test your child? Is the school responsible for the cost of a private outside evaluation? Our school refuses to test our 7 yr old son who is in 1st grade and has a diagnosis of ADHD. I have asked 3 times since the beginning of the school year, and they tell me he is too young and they don’t like to test them at his age. You must submit your request in writing to the administrator at your child’s school that is in charge of new testing for special education. You can also include the physician’s documentation of the ADHD diagnosis. Based on this diagnosis alone, your child would probably qualify under the exceptionality of Other Health Impairment. However, this does not mean that there are not other areas that he may qualify in. I would also send the request to your school’s central office. This will help get your child the services he needs to be more successful in school. Be patient. It’s a process that takes time. Good luck! What if the school finds the child not eligible due to progress, but the parents think the SpEd services are necessary for progress to continue? Also, in that situation, what if the child is changing schools? We haven’t received a form to sign approval or not, like for previous IEP meetings. Does this mean the IEP is dissolved, or can it continue in the new school and be reviewed there? What if your child is older and needs a new evaluation?